Expecting a child is a wonderful thing to a mum especially new mum to be. Recognising what pregnant mums go through during their pregnancy journey, Anmum Materna joins forces with Riding Pink to support these amazing mums this Mother's Day month by giving them a hand while performing their daily tasks via an extraordinary experience. From 8-31st May 2017, the first 25 pregnant mums sign up with Riding Pink will receive a FREE extraordinary ride from Anmum Materna. Riding Pink will ensure the safety of your journey to pre-natal check-up appointment, shopping for grocery, go to work or event hangout with friends. During this special ride, mums will get a special Mother's Day musical selection to enjoy, plus the expert advice of a pre-natal yoga teacher to teach breathing techniques to relax herself to ease her pregnancy for select mums. At the end of the ride, they will receive an exclusive Anmum Materna gift pack which contains nutritional pack with some amazing goodies for mums to be in preparation for labour. 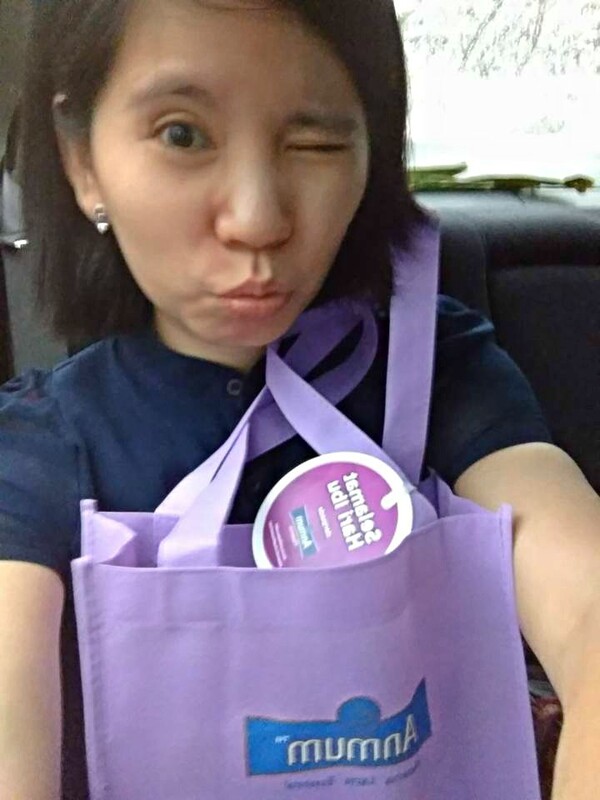 The next 100 mums who sign up will get to enjoy RM 5 off for their ride. Mums also will receive Mummy survival kit packed with useful mum-friendly products and the Mother's day music selection. Riding Pink is Malaysia first women's transportation platform. Riding Pink is founded to give women or even mum to support each other while earning additional income through a safe, female-friendly transportation service. Similarly, Anmum Materna wants to offer mums assurance throughout their motherhood journey, by providing the right nutrition to mums during their pregnancy. With this shared vision, Anmum Materna and Riding Pink have developed this initiative to create an extraordinary experience for pregnant mums. Triggered by the knowledge that many pregnant mums may not receive adequate nutrition for herself and her child based on a paper published by Jurnal Sains Kesihatan Malaysia in 2014ⁱ, Anmum™ Materna’s “Extraordinary Mums” campaign shines a spotlight on possible nutrient deficiencies. For example, only 3%ⁱ of pregnant Malaysian mums get enough folate from their dietary intake and only 23%ⁱ of pregnant mums consume the daily recommended requirement of calcium from their dietary intake. Pregnant mums need 600µgⁱⁱ of folate during pregnancy to reduce the risk of neural tube defects while 1000mgⁱⁱ of calciumⁱⁱ is essential to fulfil her own needs while supporting bone development for her child. While most mums know they need to consume a healthy, balanced diet for two, it’s difficult for busy mums to obtain sufficient nutrients from regular meals alone. For instance, the daily requirement for 600µg of folate would be equivalent to 75 cups of brown rice, and 1000mg of calcium is found in 10 pieces of soybean cake while 11mg of zinc would be found in 52 slices of white bread or 55 large bananas. To help mums get the nutrition they need for themselves as well as their child, two glasses of Anmum™ Materna provides pregnant mums with 100%ⁱⁱ the daily recommended requirement of folate, calcium and zinc, in a convenient low-fat milk powder formula. This Mother’s Day, celebrate the extraordinary feat of pregnancy with Anmum™ Materna and Riding Pink to redeem free rides and discounted rides, in addition to exclusive gift pack simply by writing to us at anmumpink@gmail.com. Visit them on www.facebook.com/ConnectedMumsClub/ or www.facebook.com/RidingPink to learn more about these extraordinary experiences and connect with other mums.